Home›Reading›Comics›Tired of Marvel? Try Valiant! Tired of Marvel? Try Valiant! Good day, everyone! And an especially warm welcome to my fellow comic book fans. Are you like me and feel like Marvel (the comics, not the movies) are geared more toward teenage hipsters than toward you? Don’t answer that; I just want to get your head in the right place. But, if you are in need of a reprieve from one of the Big Two, were you aware that there is another superhero universe out there, largely sailing under the radar? 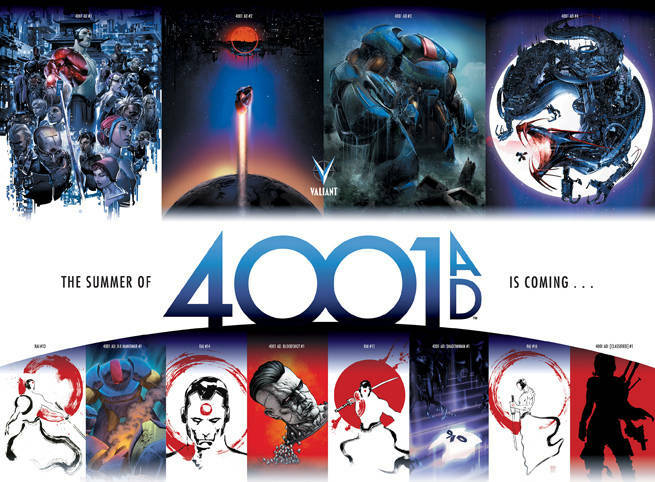 Welcome to Valiant Comics. Valiant began in the early 90s with some Marvel castoffs, much like Image, and then was acquired by a now defunct video game company. They disappeared for awhile and relaunched only a few years ago. In fact, their longest running series are only roughly four years old in their contemporary iteration. I mention all of this only to provide a little bit of background. 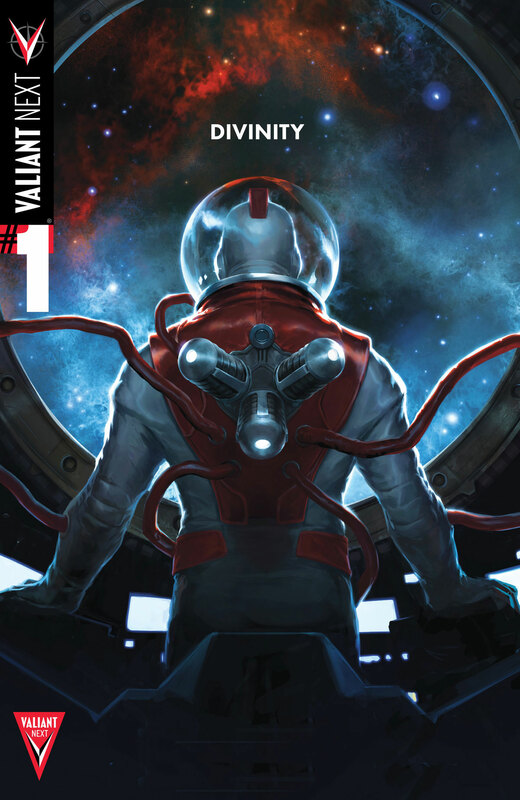 Today, Valiant’s tales seem to be divided up between stories set in a roughly recognizable 21st century, and an unrecognizable 41st century where the last true nation is a massive space station complex launched into orbit by Japan. Many of Valiant’s popular heroes are somewhat familiar to comics fans, with the nearly Kryptonian Soviet superhumans of Divinity, the mutant psiots of Harbinger and Faith, vigilantes like Bloodshot, and Iron Man-style tech heroes like X-O Manowar dominating the publishing line. That said, if you come into these stories late and don’t bother to backtrack with your reading, you will have no idea what is going on, and I think that is a large part of what makes them so attractive. In its own way, possessing encyclopedic knowledge of Marvel and/or DC is both wonderful and terrible. You’ll always carry around your favorite stories and iterations of your dearest characters in your heart, but you’ll also always compare everything new and different to what is, for you at the very least, a lost gold standard. I’m not saying to abandon that love by any means, but I believe it’s worth coming into another shared superhero universe cold and again learning it from the bottom up. After all, you’re not too far from the ground floor at this stage. What do you all think? Any Valiant fans out there? Let me know in the comments below! I can’t say I’ve read any Valiant but you offer an intriguing argument! I might have to explore some on the shelves the next time I’m at the comic store. In addition to Marvel (and a little DC (who I do read and enjoy)) I’m also a HUGE fan of IDW Comics. I don’t know if you ever tried any of their titles but their Ghostbusters and Teenage Mutant Ninja Turtle books are pretty solid. Thanks for another potential comic obsession :). NetFlix and Mark Millar? …Eh?